Airship 27 Productions is thrilled to announce the debut of the newest occult investigator in the grand tradition as such notable pulp heroes as William Hodgson Hope’s Carnacki, Seabury Quinn’s Jules de Grandin, Manly Wade Wellman’s John Thunstone and the popular Ravenwood, Stepson of Mystery. Situated in the rural back country of Edwardian England is an old, mysterious house whose unique owner earns his living as a Spirit-Breaker, a hunter of ghosts. A former military veteran, Sgt.Roman Janus has devoted his life to aid those haunted, both emotionally and physically by obsessive wraiths whose spirits are still anchored to our world. 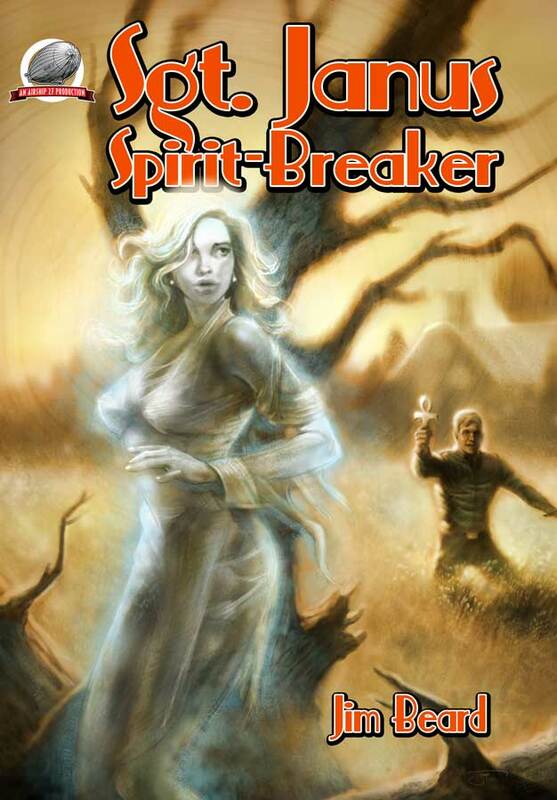 Sgt.Janus – Spirit Breaker is the creation of new pulp writer Jim Beard. Part detective, part occultist, Janus is himself a man of mystery whose own past is shrouded and the motivations behind his calling kept hidden. Within this volume you will find eight tales as narrated by his clients, each with his or her own perspective on this uncanny hero and his amazing career. Filled with suspense, terror and agonizing pathos, each a solid mesmerizing journey into the unknown world beyond. Featuring a cover by artist Jeff Herndon and eight stunning illustrations by Eric Johns, with design work by Pulp Factory Award winning Art Director, Rob Davis and edited by Managing Editor Ron Fortier, Sgt.Janus – Spirit Breaker is the first in a new series by one of today’s leading stars in New Pulp Fiction. 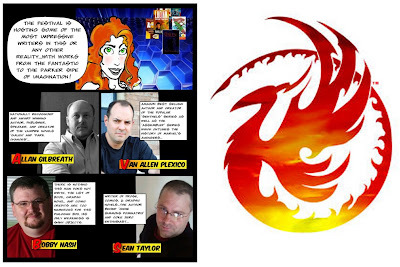 MEET PULP FACTORY CREATORS AT ALABAMA PHOENIX FESTIVAL! Meet Van, Bobby, Sean, & Joe. You can meet Pulp Factory Authors Bobby Nash, Van Allen Plexico, and Sean Taylor at the Alabama Phoenix Festival - May 25 - 27 in Birmingham, AL. Meet Bobby, Sean, & Van. 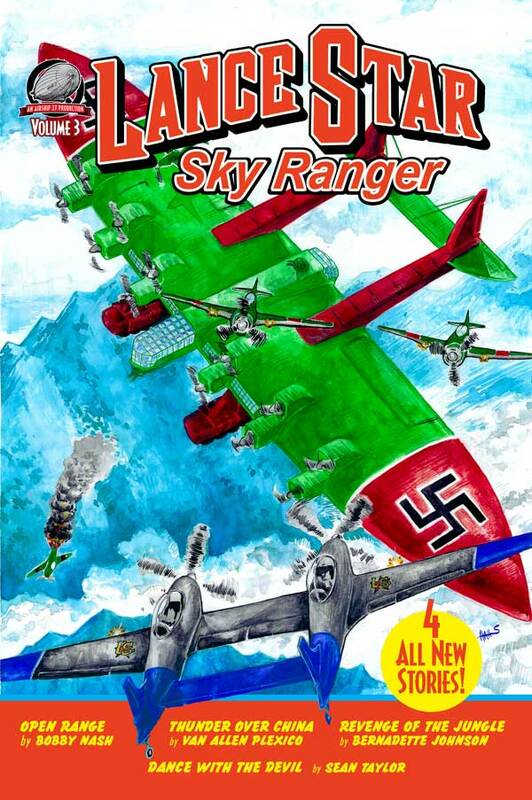 This is a great chance for you to meet these creators and get your copies of Lance Star: Sky Ranger (vol. 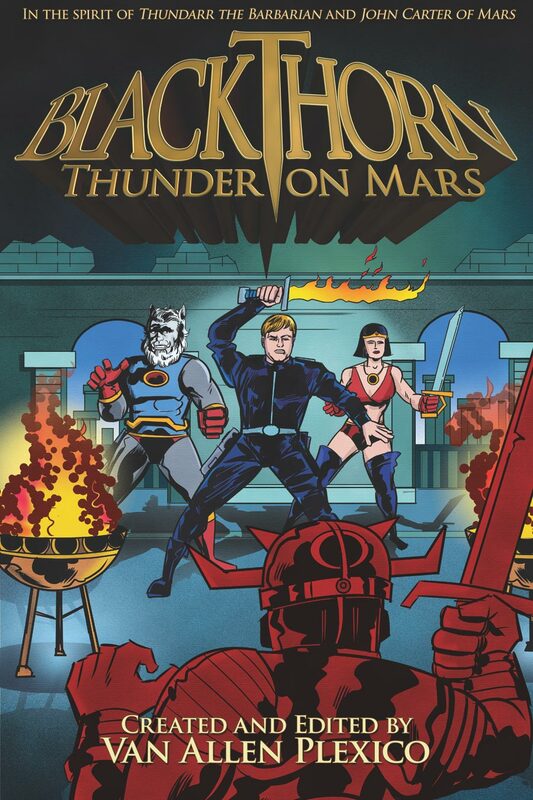 2 and 3), Blackthorn: Thunder on Mars, and The Ruby Files editions signed by multiple contributors in one fell swoop. Plus, it's always fun when Bobby, Sean, and Van are on panels together. Tell ‘em The Pulp Factory sent ya! 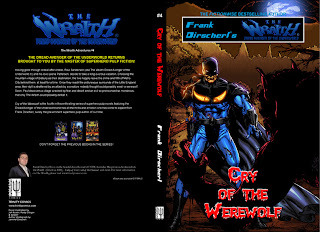 New Pulp author and Trinity Comics publisher, Frank Dirscherl shared the following information about the upcoming novel, The Wraith: Cry of the Werewolf with The Pulp Factory. 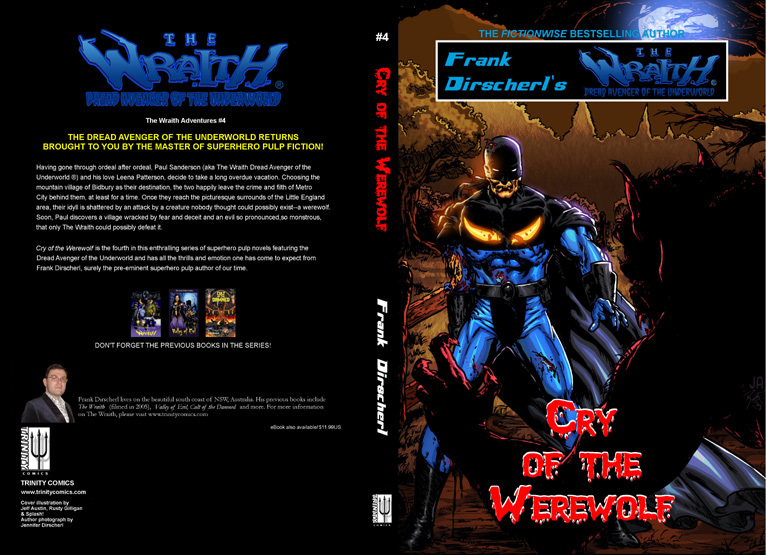 My latest novel (a look at the cover is attached), the fourth in The Wraith Adventures series, CRY OF THE WEREWOLF, will be released for sale on May 18 from my own Trinity Comics. You'll be able to buy (initially) direct from my online store, as well as from Amazon, Barnes & Noble and all other online and bricks and mortar stores shortly thereafter. EBook release will coincide with the print release. Having gone through ordeal after ordeal, Paul Sanderson (aka The Wraith Dread Avenger of the Underworld ®) and his love Leena Patterson, decide to take a long overdue vacation. Choosing the mountain village of Bidbury as their destination, the two happily leave the crime and filth of Metro City far behind them, at least for a time. Once they reach the picturesque surrounds of the Little England area, their idyll is shattered by an attack by a creature nobody thought could possibly exist—a werewolf. Soon, Paul discovers a village wracked by fear and deceit, and an evil so pronounced, so monstrous, that only The Wraith could possibly defeat it. CRY OF THE WEREWOLF is the fourth in this enthralling series of pulp novels featuring the Dread Avenger of the Underworld, and has all the thrills and emotion that one has come to expect from Dirscherl, surely the pre-eminent superhero pulp author of our time. Also, look for The Wraith pulp anthology coming soon from Airship 27. 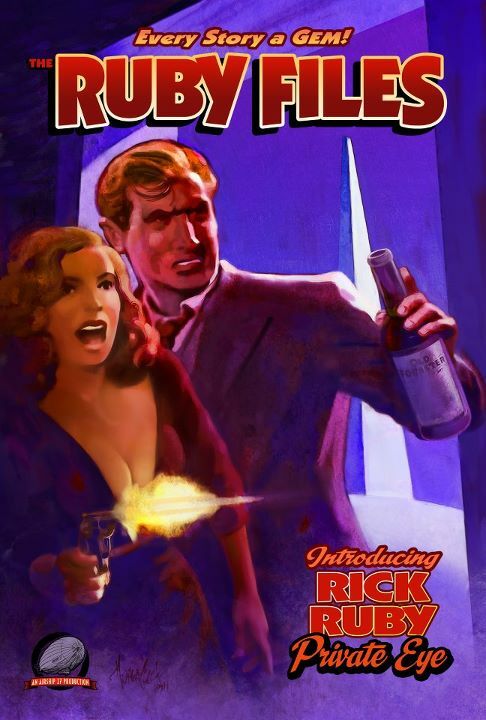 The A Bit Too Old For Comics Blog reviews The Ruby Files. You can read the full review at http://toooldforcomics.blogspot.com/2012/04/ruby-files-volume-one.html but we’re happy to report that he likes it.